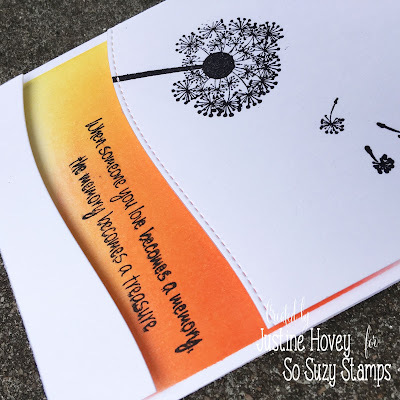 today I'm over at So Suzy Stamps with this card video tutorial. I love pops of colour against a white background and this card is no exception. I love the pop of colour and how to shows off the sentiment. The Dandelion stamp also looks elegant and fantastic in black. It is one of my favourite stamps for sympathy cards. Be sure to head over to my YouTube video and leave a comment and subscribe if you have enjoyed the video! You must be logged into YouTube to subscribe. For this blending combination, I used Ripe Persimmon, Abandoned Coral and Squeezed Lemonade - all available as normal size pads and mini inks! Beautiful! I love the simple and elegant design! Beautiful, I will be trying this today. Thanks for the tutorial and your inspiration. great video and beautiful card! 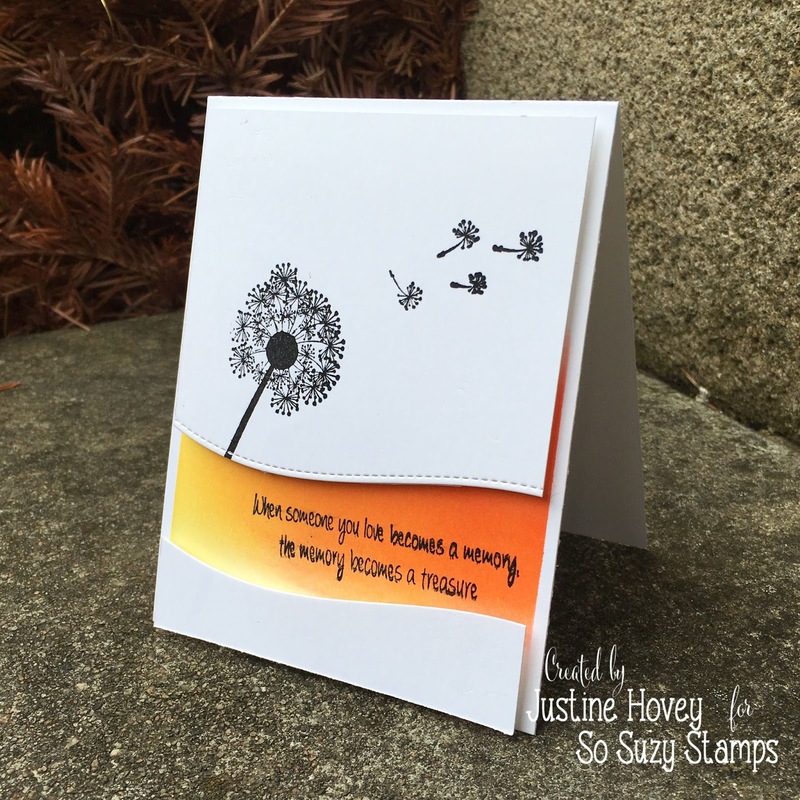 A truly gorgeous card Justine and I would also like to try this way should you not mind?